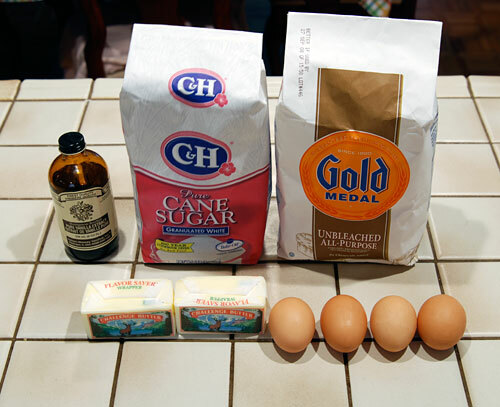 I first made this recipe while in college and brought a few samples to class to share with some classmates. 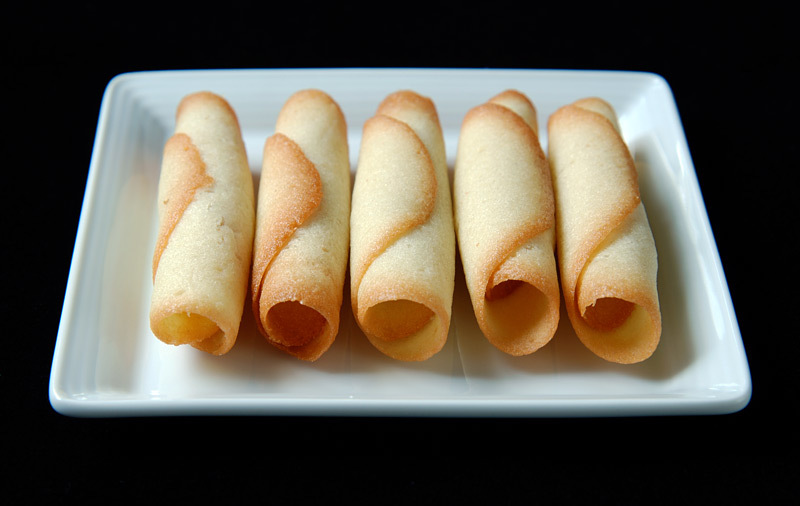 It was the beginning of the quarter and I didn’t know my new classmates well yet, so when I offered them some cookies and said that I had made them, they didn’t believe me. 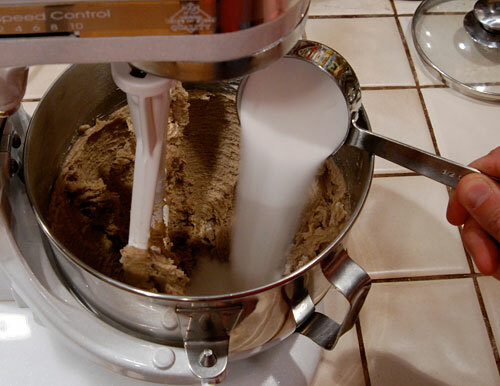 Apparently, not too many guys make cookies in college, so I had to describe in detail both the ingredients and how I made them before they reluctantly acknowledged that maybe I really had made them. I don’t make a lot of refrigerator roll cookies since they are definitely a bit more effort than drop-style cookies. 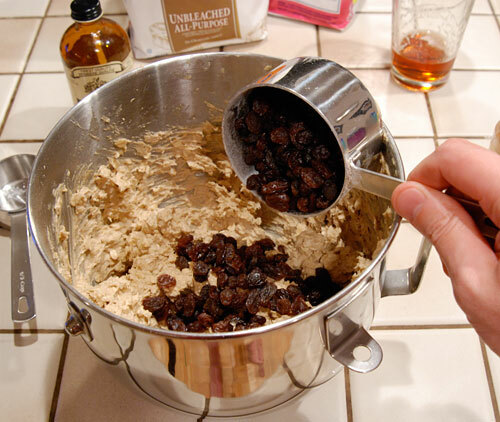 This is clearly evidenced by the 27 pictures in the complete recipe gallery. 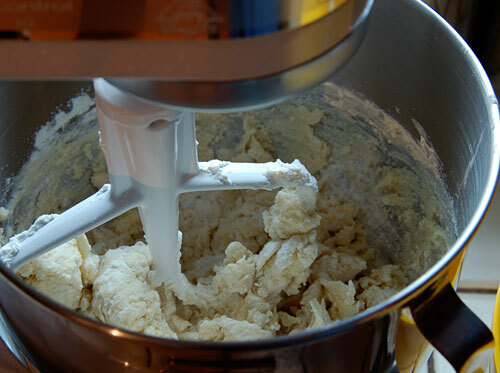 Nevertheless, the break that chilling dough in the refrigerator affords can sometimes be welcome. 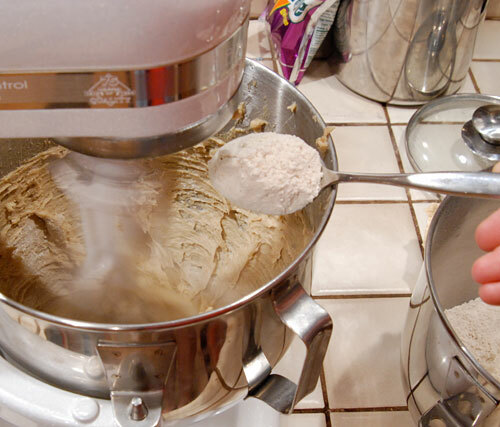 I took advantage of this and made these cookies over three days. 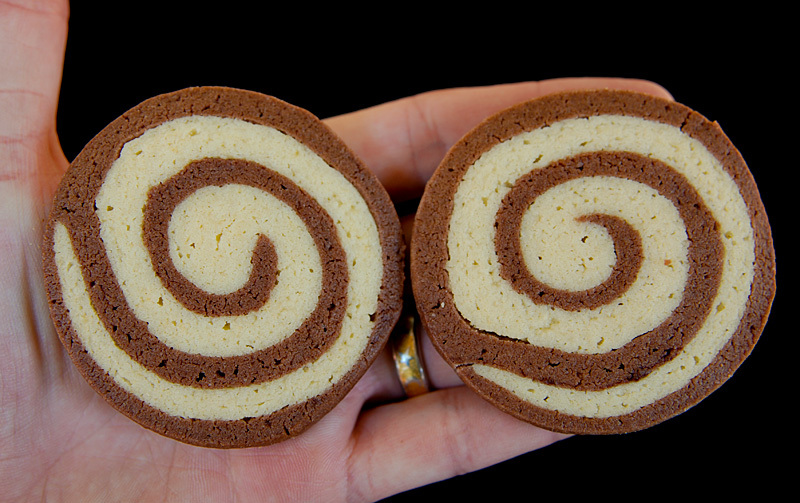 This was also the first recipe I had to try out my new rolling pin rings. 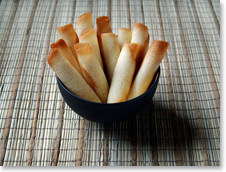 I was thinking about making some myself when I saw these in a specialty shop in Santa Cruz. 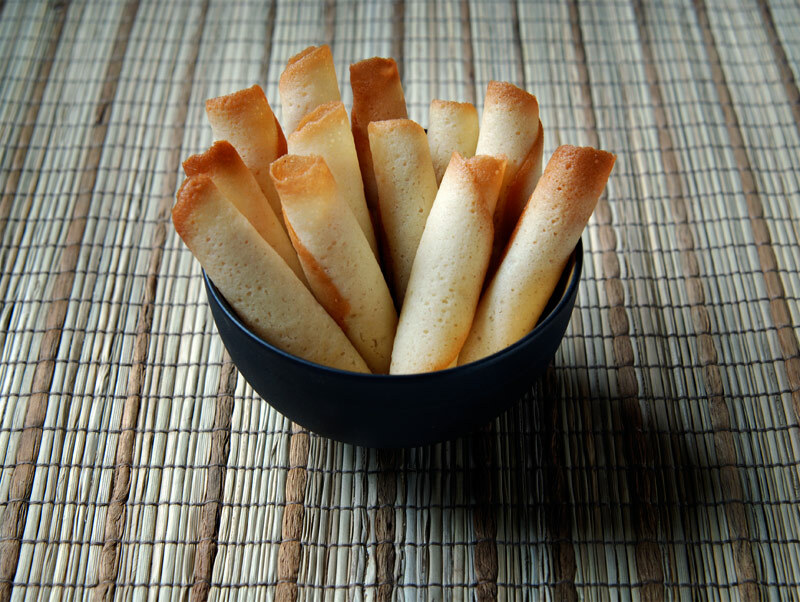 These little rings come in several thicknesses and go on your rolling pin, making it nearly impossible to roll dough of uneven thickness. 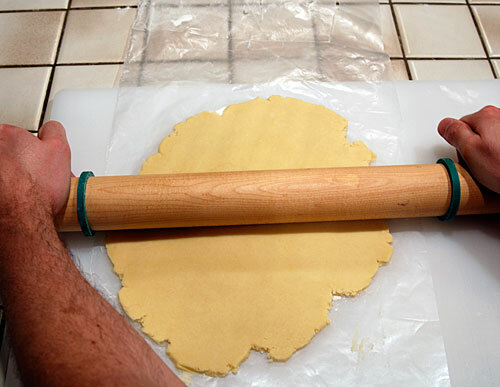 A big pastry board or surface definitely helps, and your rolling pin can’t be curved. 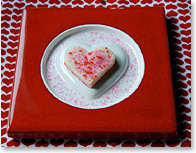 Getting each layer to be a nice rectangle is enough trouble, so I appreciated not having to worry about the thickness. 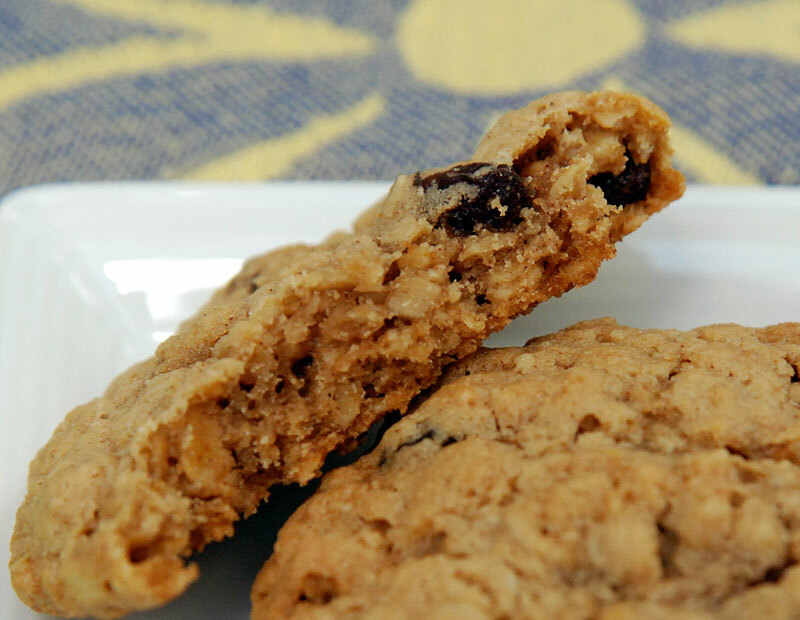 These cookies were pretty forgiving when it came to browning. 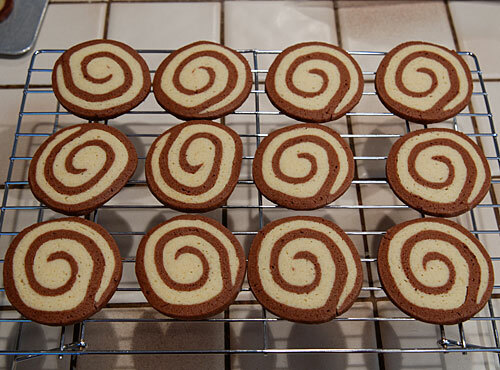 I was a little worried once I realized after rolling that I was going to have chocolate edges on the cookies, which makes for more difficult diagnosis of doneness since the edges are already brown. 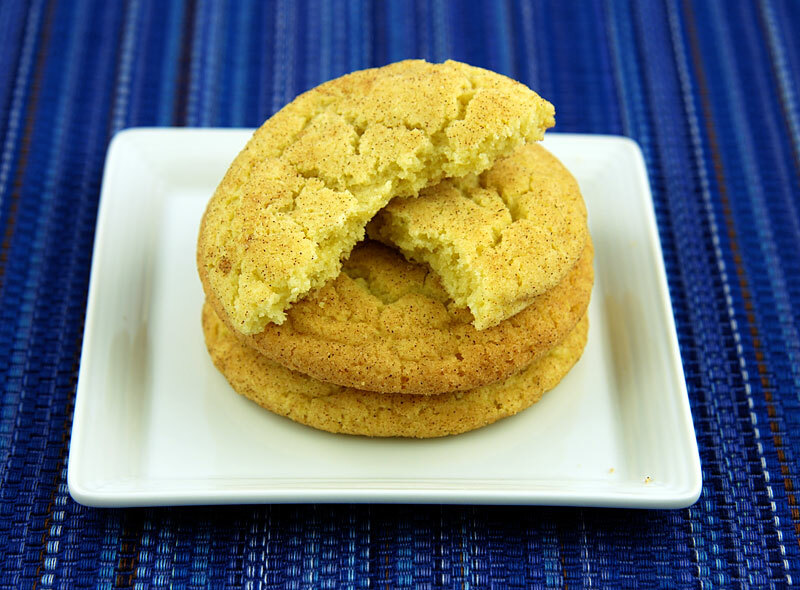 I used the vanilla portions of the cookies as a guide and aimed for very light browning, which yielded a very delicate cookie, but you can also go for more pronounced browning if you want a crisper cookie. 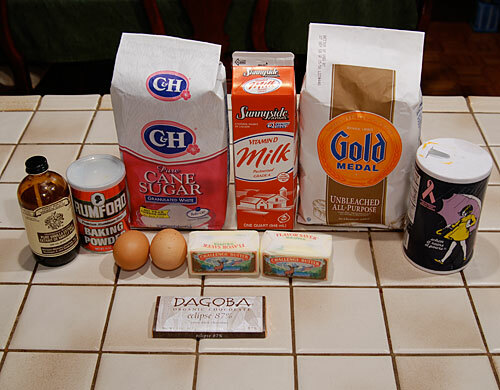 The original recipe called for unsweetened chocolate, and although there are now excellent brands of unsweetened chocolate like Scharffen Berger, I opted to toss in the 87% Dagoba bar I had sitting around since it was also exactly 2 ounces. As much as I love dark chocolate, even I have limits, and 87% is just too dark for nibbling on. 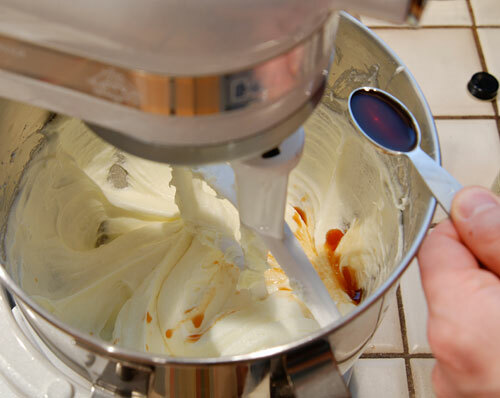 If you are curious, my preference is 72% – 76%. 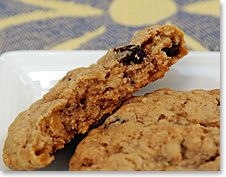 Even though 2 ounces didn’t seem like much, the chocolate flavor in the cookies is wonderful. 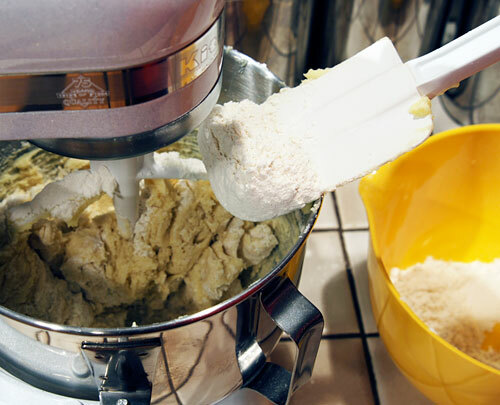 Take your time, roll out the dough carefully, and you just might have to convince people you made these yourself, too. 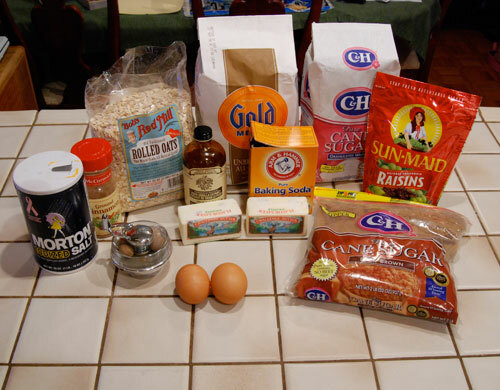 Ingredients for making Chocolate Whirligigs. 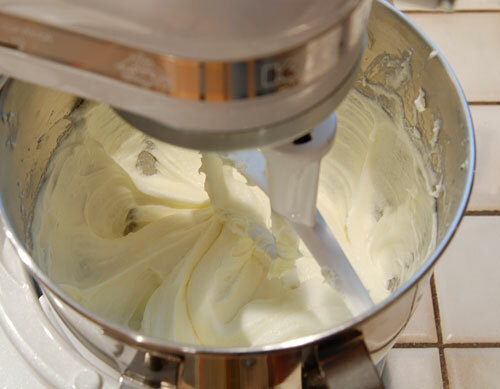 Mix 1 cup of room temperature butter, 1 cup sugar, 2 egg yolks and 2 teaspoons vanilla until light and fluffy. 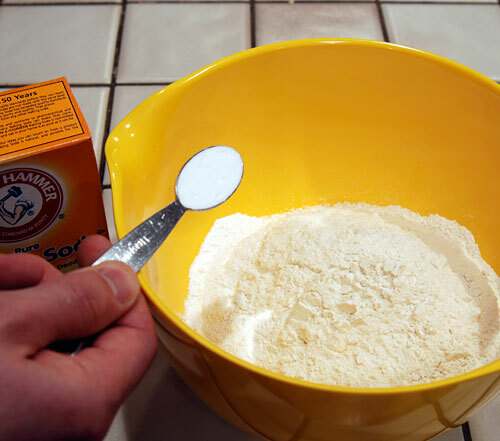 Slowly mix in 1/4 cup plus 2	tablespoons of milk. 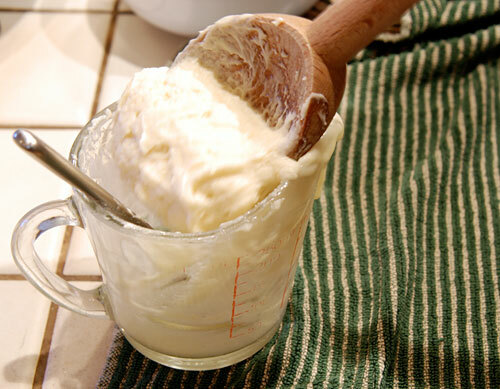 Beat thoroughly until smooth. 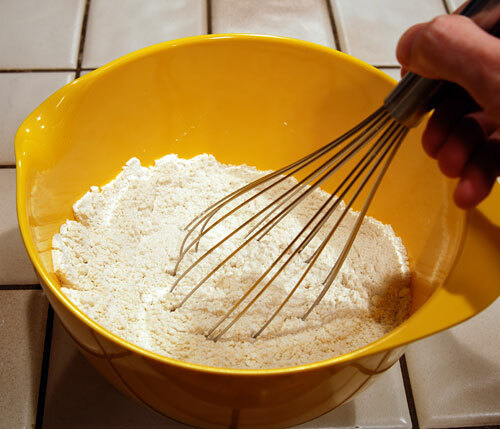 Add 1 teaspoon of baking powder and 1/4 teaspoon of salt to 3 cups of flour and gently mix with whisk until blended. 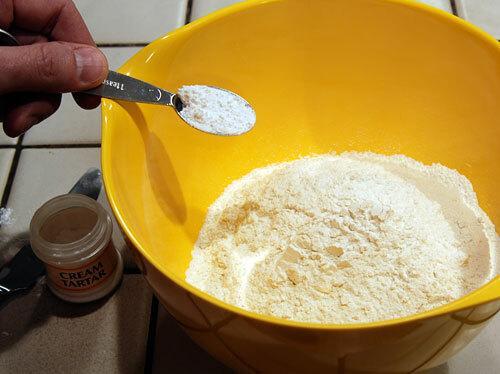 Slowly add the dry ingredients to the dough, scraping down the sides of the bowl with a spatula to ensure even mixing. 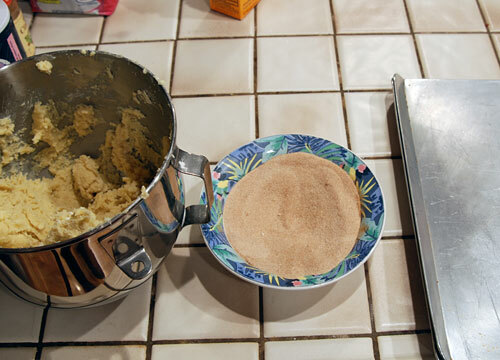 Roll the dough into a ball and split into equal halves. 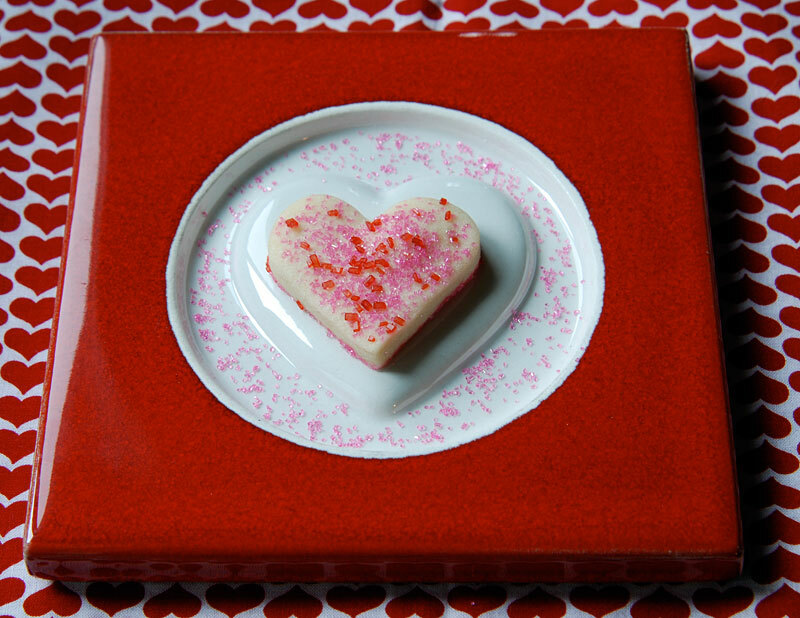 Slowly melt 2 ounces of dark chocolate in the microwave using short, 10 second bursts, stirring between heatings. 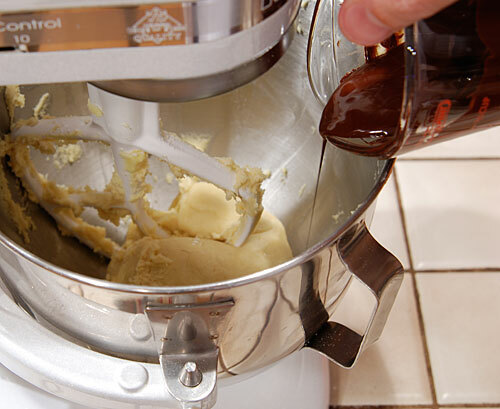 Mix the melted chocolate into one half of the dough. 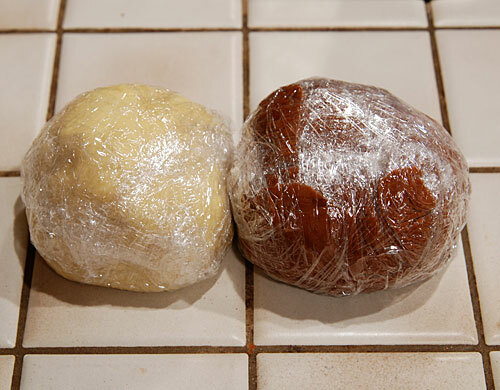 Wrap each half of the dough in plastic wrap and refrigerate for several hours or overnight. 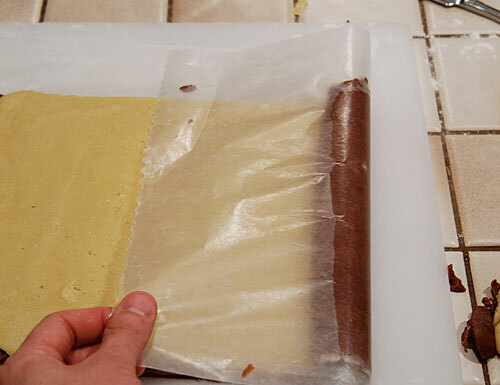 Roll each dough half on lightly floured wax paper into a 9 x 13 inch rectangle. 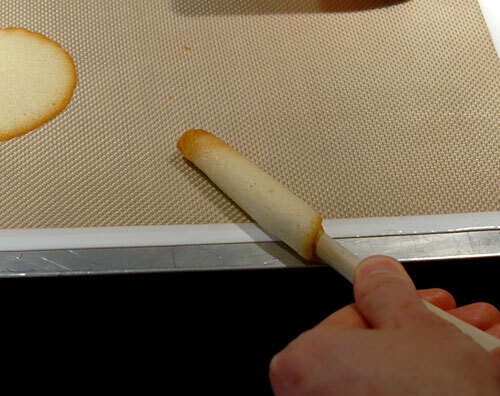 Trim edges as needed to get a nice rectangle, dusting rolling pin with flour as needed. 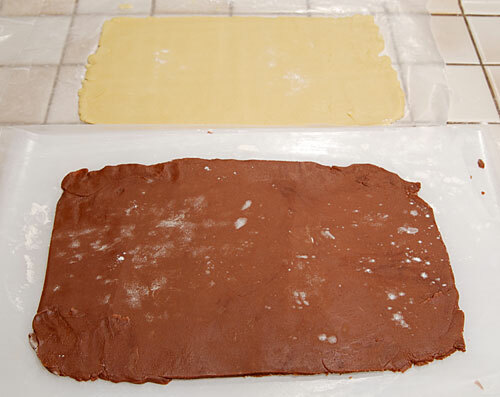 Make sure each half is the same size rectangle as any discrepancies in size will need to be trimmed and sacrificed to the dough tasters. 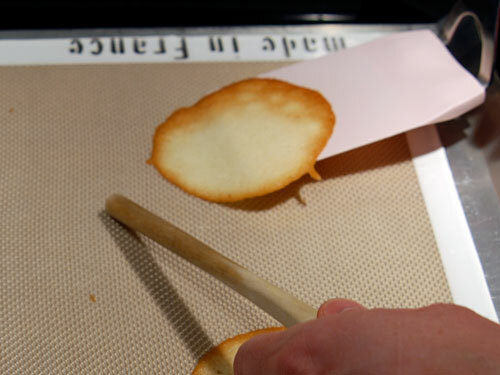 Carefully invert one layer over the other and remove the top sheet of wax paper. 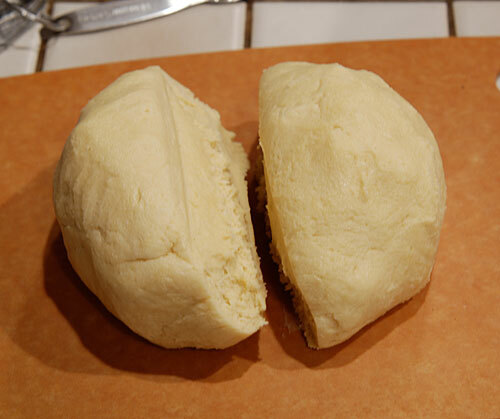 Tightly roll the dough from the short side into a roll, wrap in plastic wrap and refrigerate for several hours or overnight. 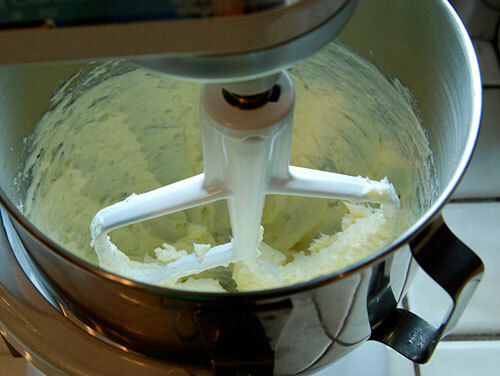 Remove dough from refrigerator and gently press and roll it to get it back into round as best you can. 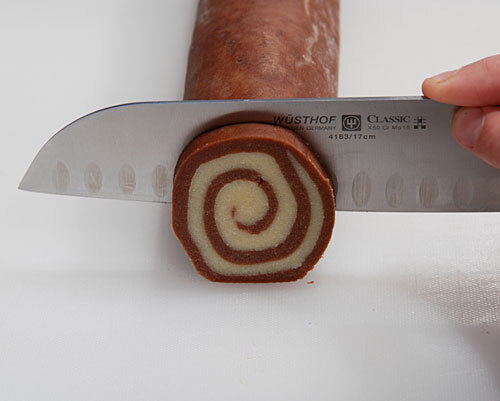 Slice the dough into 3/8 inch slices. 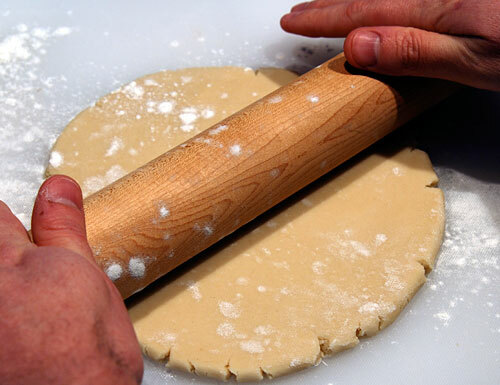 Slice all the dough at once or return to fridge between sheets, as slicing is difficult when dough warms. 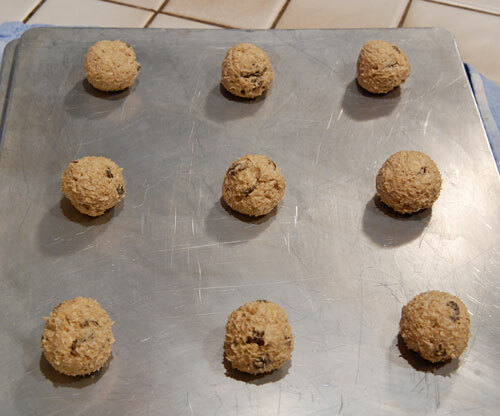 Place cookie slices on ungreased cookie sheets 1 inch apart. 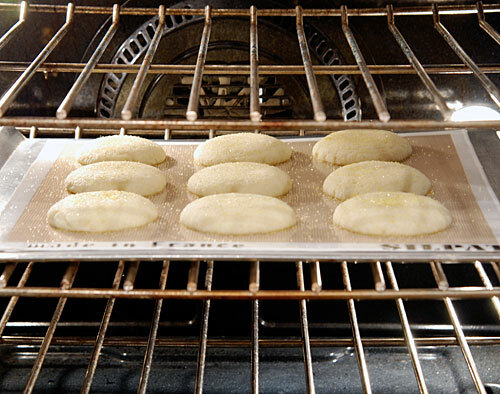 Bake in 375° F oven for 8 – 11 minutes or until cookies begin to brown. 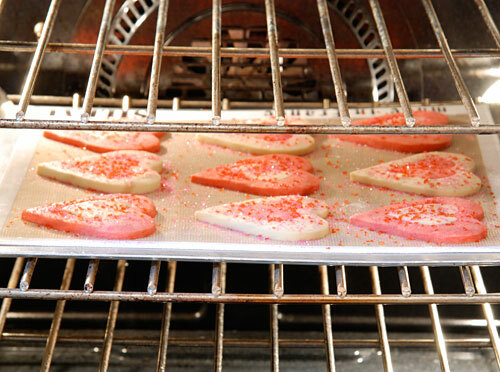 Immediately remove cookies from baking sheets and transfer to cooling racks. 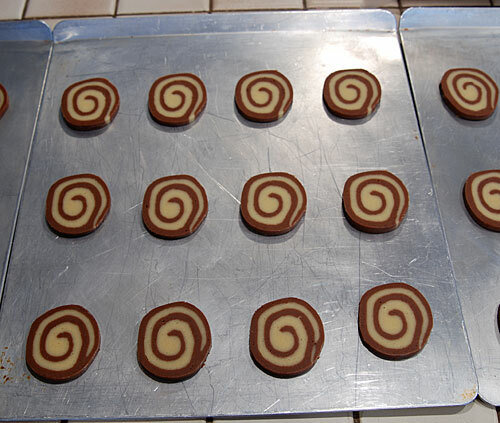 The recipe pictured above, with detailed instructions and exhaustive photo gallery can be found on the Chocolate Whirligigs recipe page. 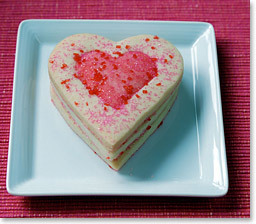 I knew I wanted to make some cookie for Valentines Day, and I thought some heart shaped sugar cookies would do the trick. 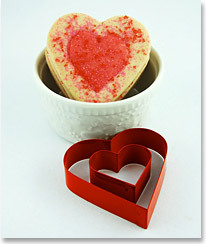 What better way to say, “I love you”, than with a heart shaped cookie? It was late January when I set out to find some heart shaped cookie cutters, so I figured that it would be easy to find some heart shaped cookie cutters at the mall. 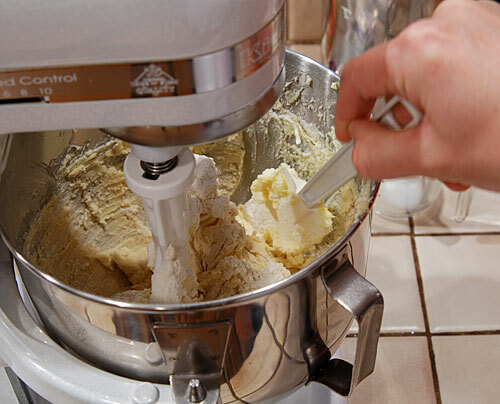 I went to 4 different kitchen supply stores and nothing. Finally, Crate & Barrel came through with a 3-piece set. I guess marketing hasn’t gotten the jump on Valentine’s Day like it has on Christmas. 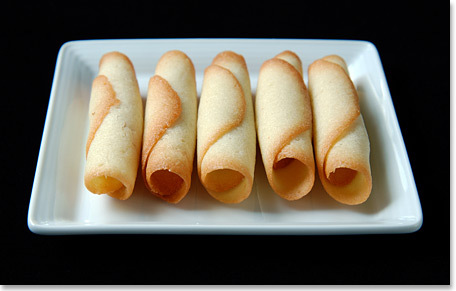 For some reason, I always think rolled cookies are a lot of work, but they really aren’t that much extra effort. 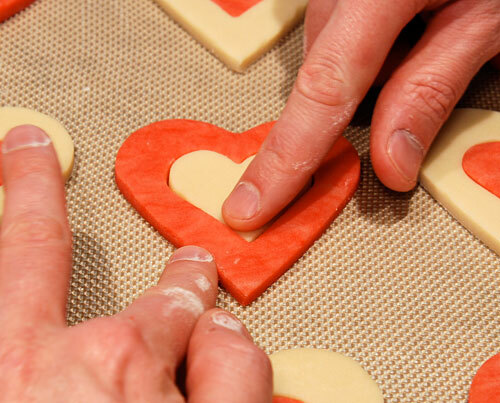 The really cool thing is that most other people also think they are a lot of work, so when you present them with a heart shaped cookie made with different colored dough, they really think the cookies are extra special. 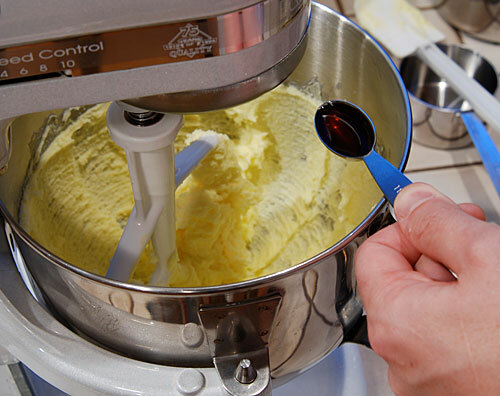 This recipe calls for what I thought was a lot of food coloring—up to 1/2 teaspoon—but unless I added 1/4 teaspoon or more, the color was just too pale. 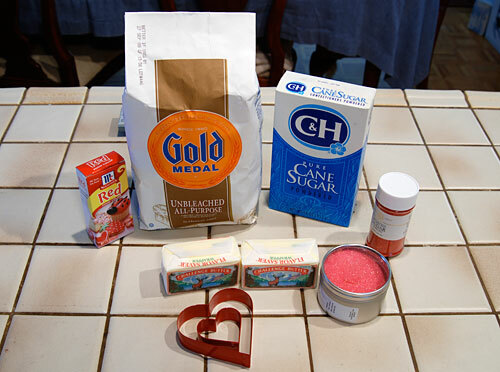 I also found that it’s nearly impossible to have too much sanding sugar; a couple different colors really add a nice touch. 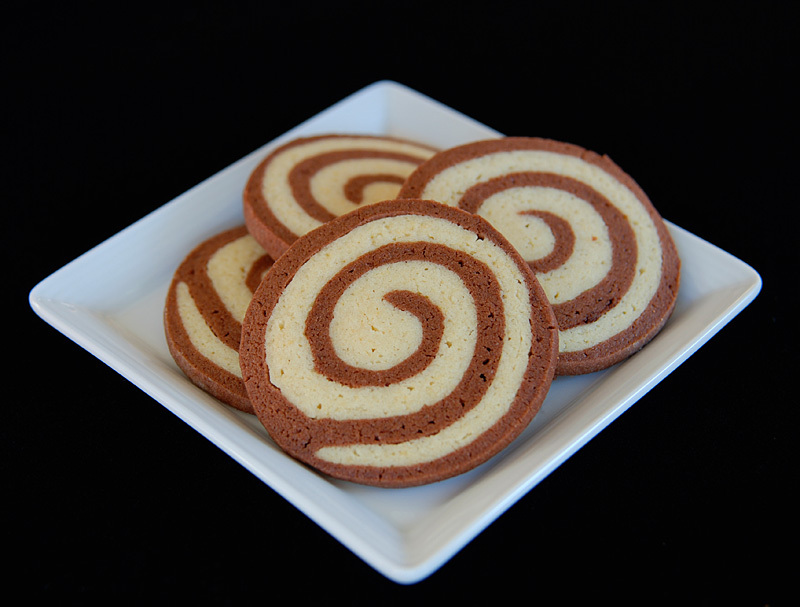 These are the first cookies I have listed on the site that do not have any leavening, so they have a nice shortbread consistency. 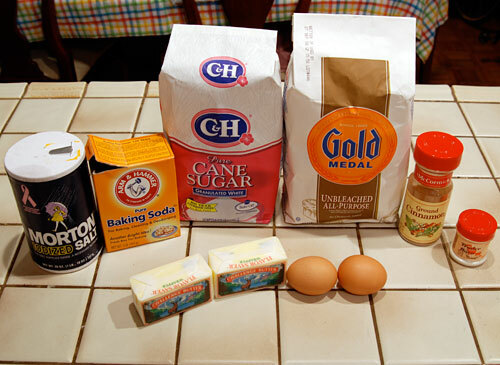 This recipe is also has a pretty short list of ingredients, so you are almost guaranteed to have them on hand. 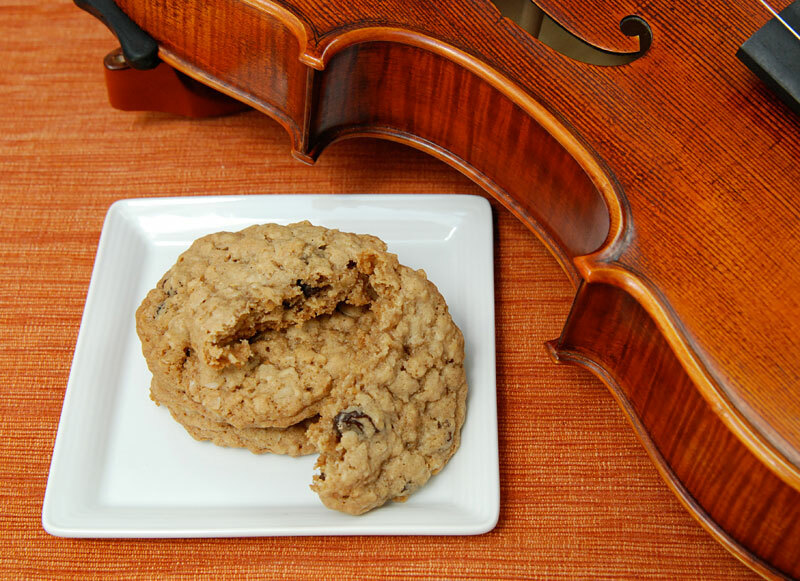 I made these cookies twice in the last 2 weeks, and both my kids and my wife’s co-workers really enjoyed them. 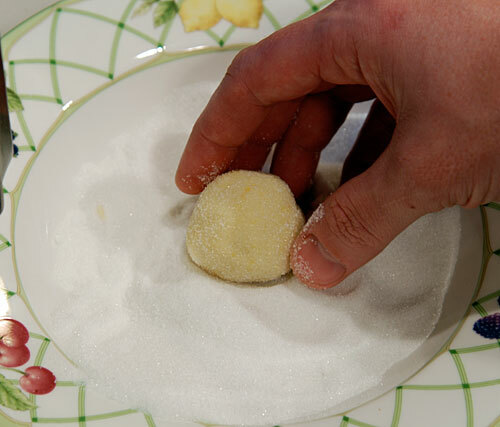 Use coarse sanding sugar as it adds a little crunch to the texture of the cookie. 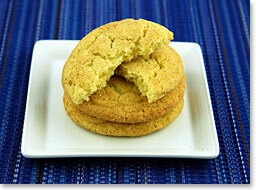 Below are some of the highlights of making this simple, but delicious sugar cookies. 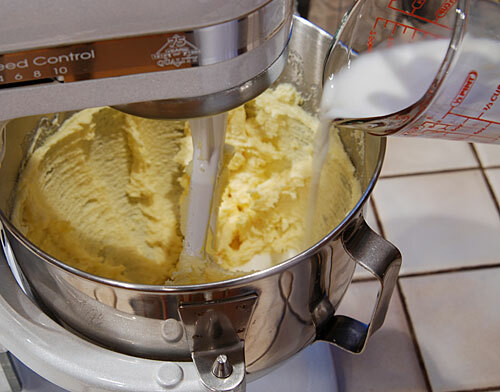 Beat 1 cup of room temperature butter until fluffy. 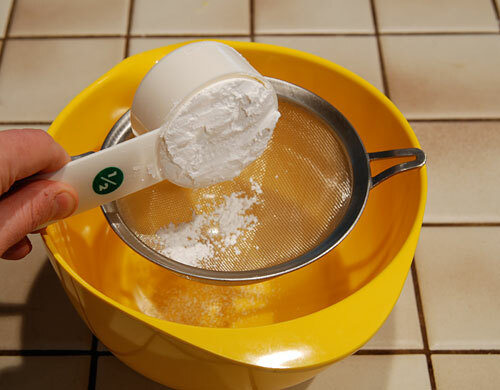 Sift 3/4 cup of powdered sugar to remove lumps. 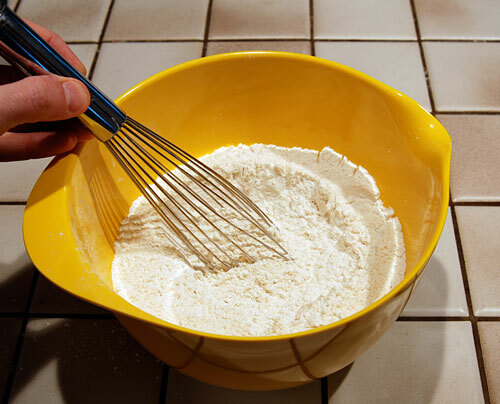 Use a whisk to gently mix 2 1/4 cups of flour with the sugar. 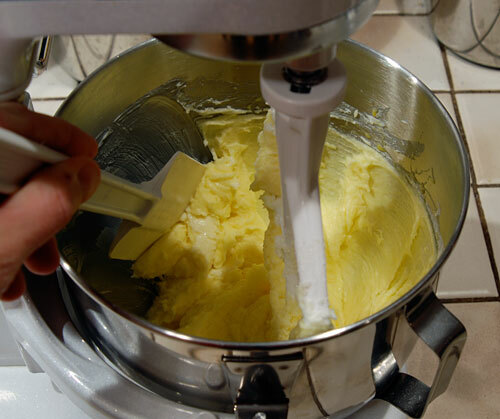 Slowly add about half of the sugar and flour into the butter. 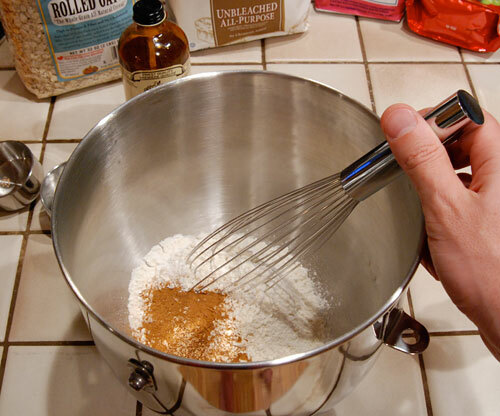 Add 1 teaspoon of vanilla to the dough and then finish adding the flour and sugar mixture. 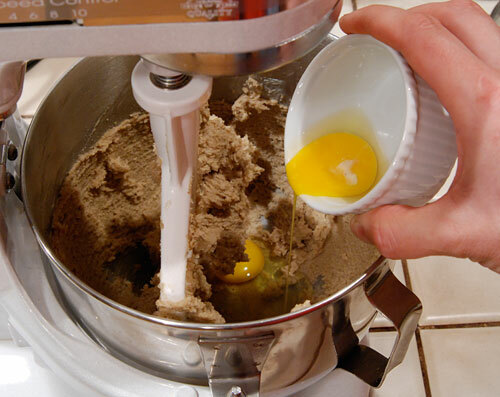 Form the dough into a ball and split in half. 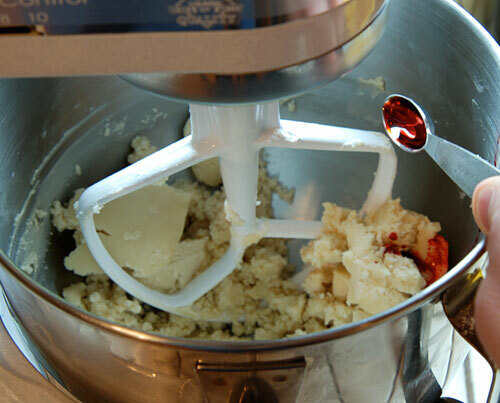 Return half of the dough to mixer and mix in 1/2 teaspoon of red food coloring. 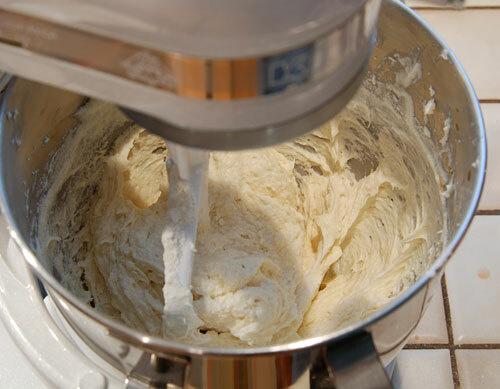 Roll the uncolored dough until 1/4 inch thick. 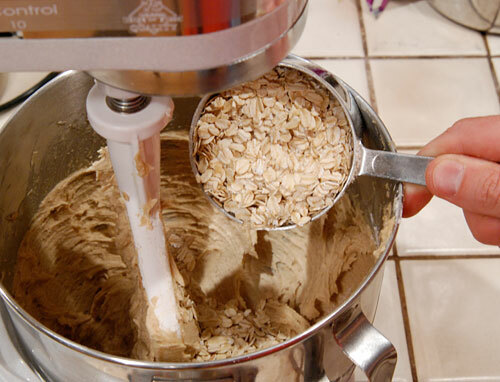 Repeat for the colored dough. 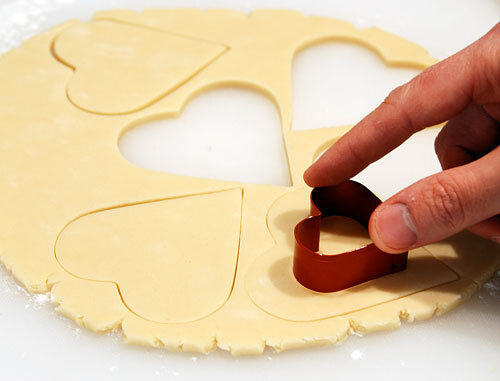 Cut out large and small heart shapes, cutting the small shapes from the insides of the larger cutouts. 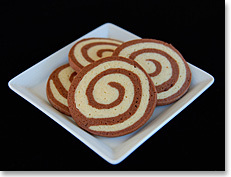 Assemble the cookies on a silpat baking mat using contrasting colored dough, gently pinching them together at the seams. 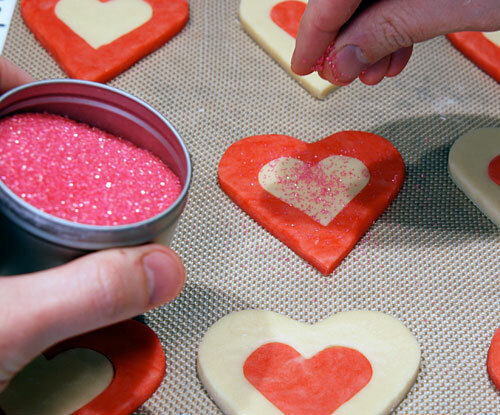 Sprinkle the tops of the cookies with red and pink sanding sugars. 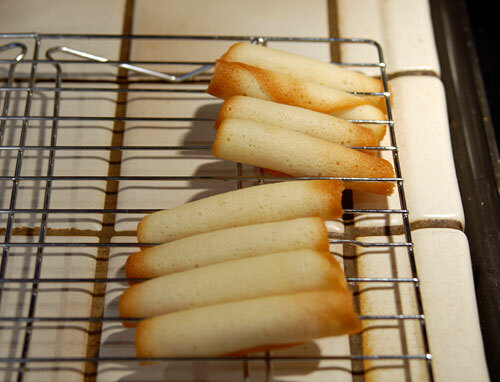 Bake for 13 minutes in 350°F oven until edges just begin to brown. 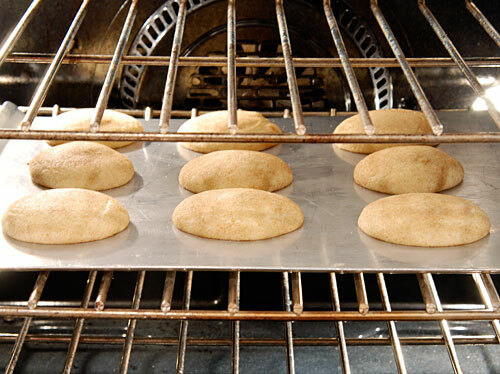 Remove from oven, let rest on sheet one minute, and then transfer to cooling racks. 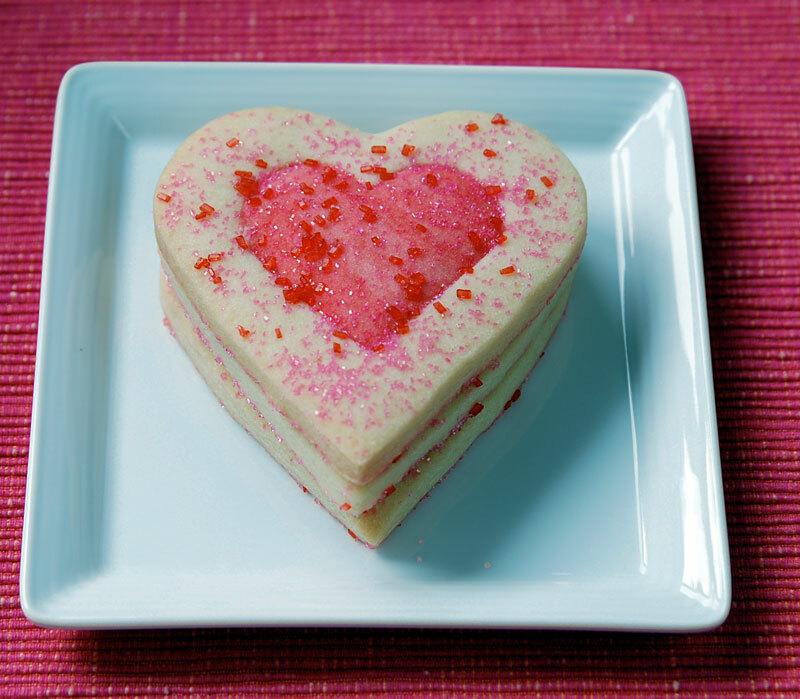 The recipe pictured above, with detailed instructions and complete photo gallery can be found on the Valentine Sugar Cookie recipe page. I’m still in the midst of lemon season, so I have been busy making recipes with lemons. 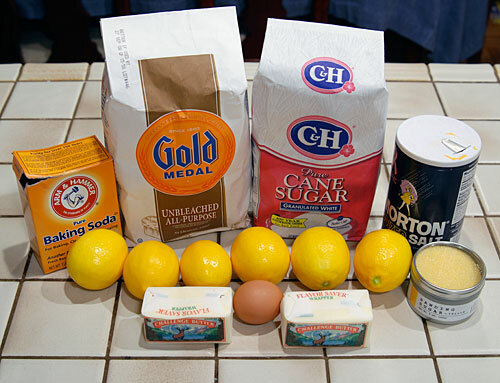 I have a huge bag of Meyer Lemons and so I wanted a recipe that would help use them up. 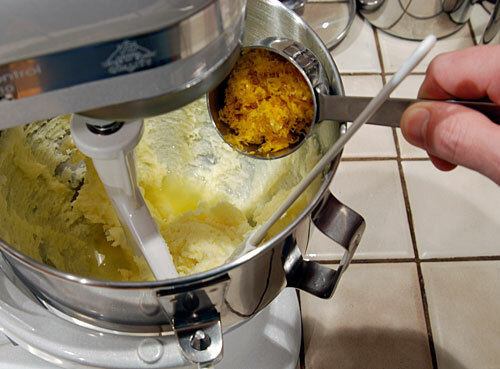 Making the extra strength Meyer Lemon Sorbet recipe helped, but I still had almost a dozen lemons leftover. 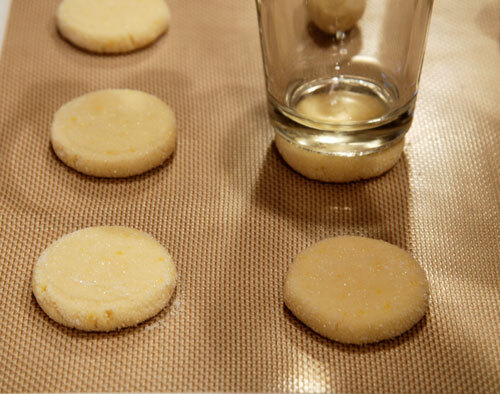 My wife and kids had been clamoring for another batch of sugar cookies since I made Old Fashioned Sugar cookies (with just a hint of orange). 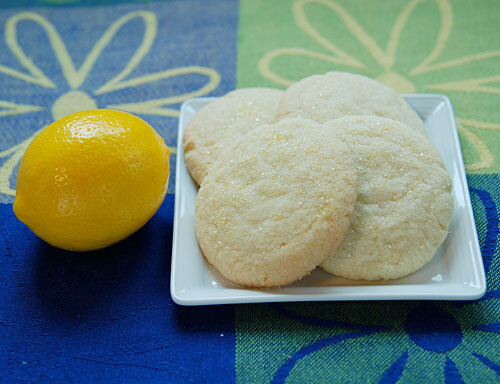 When I saw this recipe for Lemon Sugar Cookies, I knew I could address two goals at the same time. 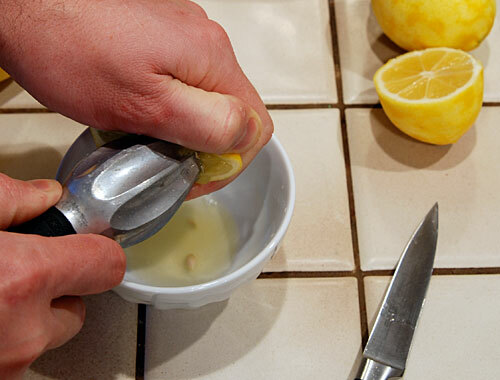 This recipe calls for a lot of lemons. 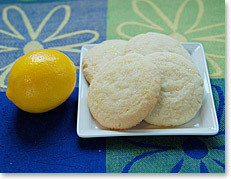 In fact, I can’t recall any other recipes I have made that call for 1/3 cup of lemon zest. 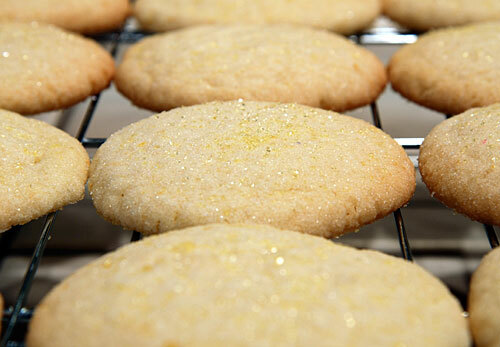 Surprisingly, the baking process obscures a good deal of the zest, but they still have a nice lemon flavor. 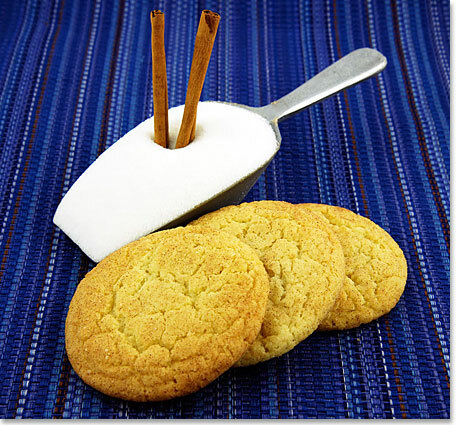 These cookies are also a little less delicate than the Old Fashioned Sugar Cookie recipe. 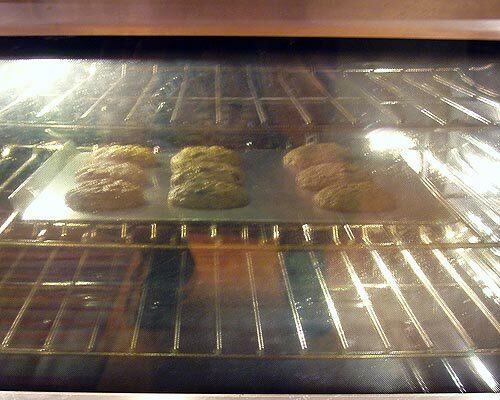 Perhaps the 400°F oven played a part in these last two cookie traits; most recipes are 375 or 350. The coworkers at my new job don’t gobble up cookies like at my last couple jobs, so I now give most of the cookies (gotta save some for the kids’ lunches) to my wife for her to take into her work. 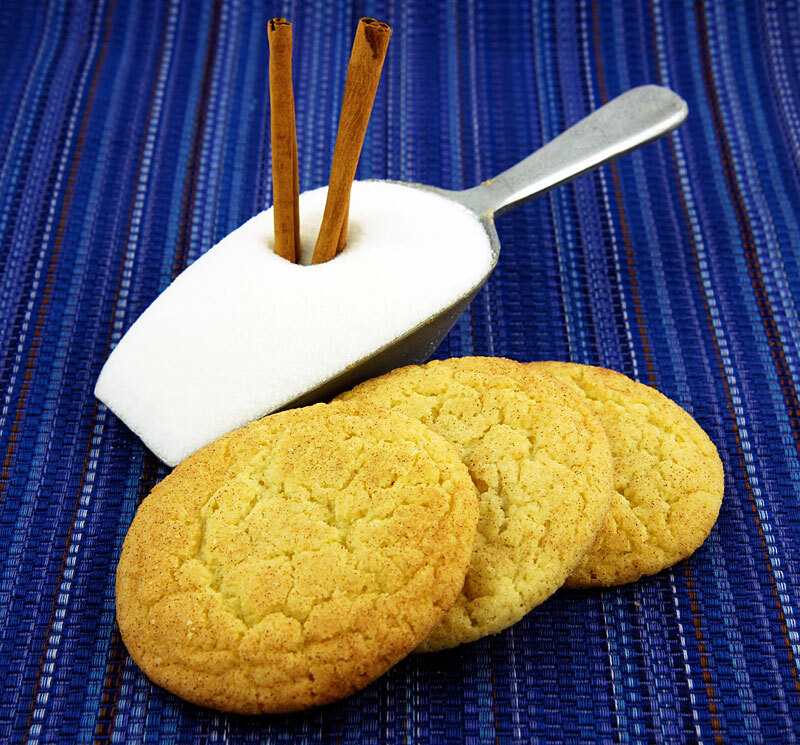 She said that the cookies were all gone by 10:30 AM. That’s more like it. 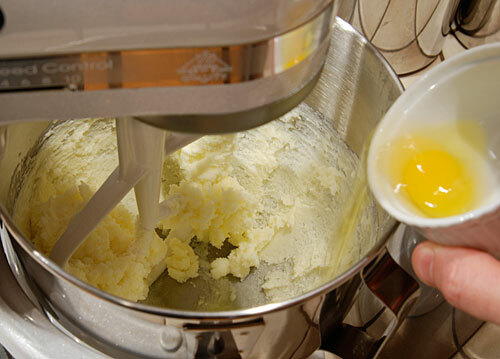 Mix 1 cup of butter, 1 cup of sugar, and 1 egg until light and fluffy. 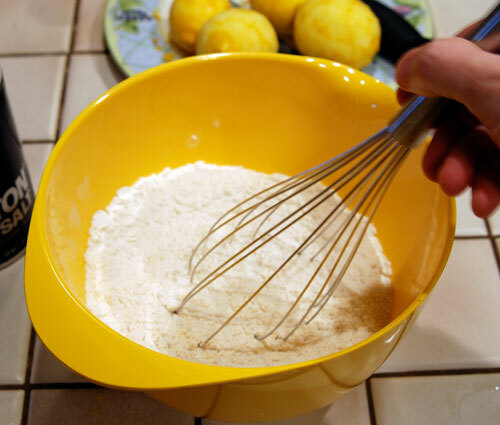 Add 1/3 cup of lemon zest (yes, 1/3 cup—about 6 lemons worth) and mix well. 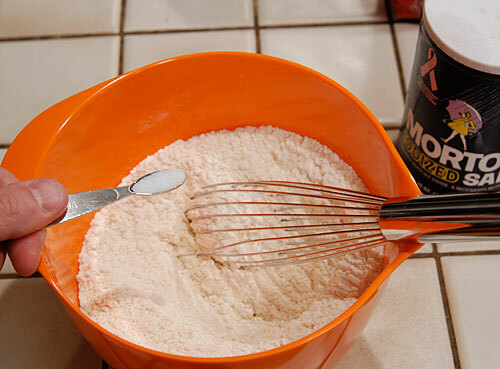 Mix together 2 1/4 cups of flour, 1/2 teaspoon baking soda and 1/4 teaspoon of salt until blended. 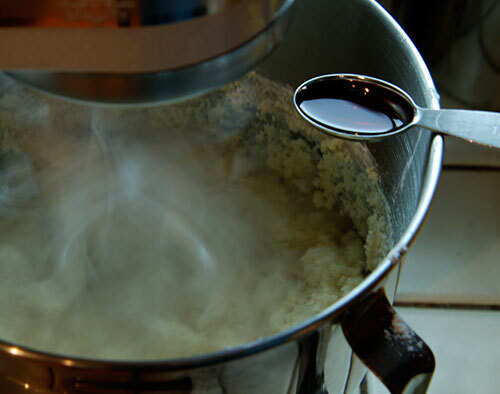 Gradually add this to butter mixture, scraping sides of bowl occasionally. 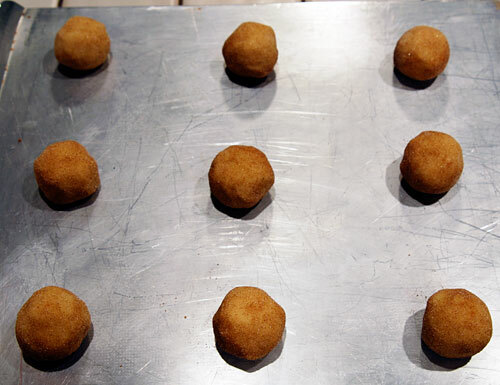 Roll dough into 1 inch balls and gently roll in sugar before placing on silpat baking mat. 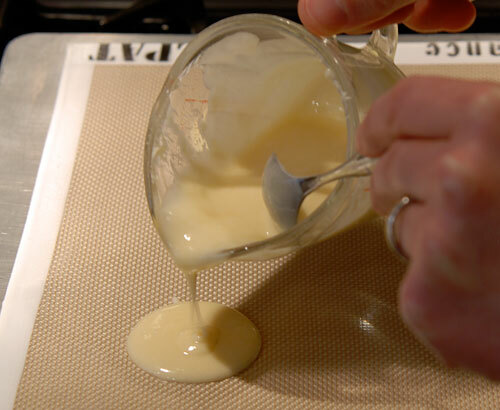 Flatten dough with the bottom of a glass dipped in sugar. Press down until ball is half inch high. 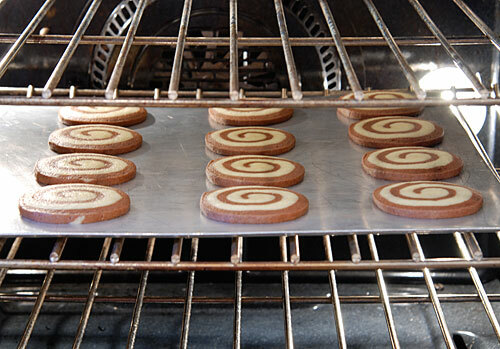 Bake in 400°F for 9 – 10 minutes or until edges begin to brown. 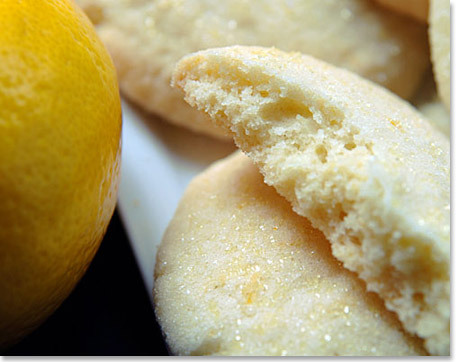 The recipe pictured above, with detailed instructions and complete photo gallery can be found on the Lemon Sugar Cookie recipe page.